I was going to blog on this, but Cathy at New Hartford Online saved me the trouble by doing an excellent analysis (with spreadsheets!) of New Hartford Police pay and overtime [HERE] and [HERE]. One must conclude that a gift of Town money and property is being made to various private entities because the costs of these private patrols when overtime and benefits are included far exceeds what the Town receives. This violates Article 8 section 1 of the NYS Constitution. Hope for Change . . .
Two small statements in two separate editorials in today's OD provide two tiny instances of hope that local leaders are finally waking up to the importance of Utica to the viability of the surrounding area, and that the structure of local government no longer makes sense. A third article provides the evidence that reorganization is needed. Consolidation is the most attractive and the best way to save money. But you are preaching to the choir. County government welcomes consolidation; the towns and villages have difficulty relinquishing the power and jobs they have held for decades. Along with the suburban expansion that has crippled the cities — particularly Utica — there is the financial burden of maintaining town and village governments. Every town has expanded toward its villages or city and the number of government entities exist are an outrage. The Charter Reform Commission’s proposal to extend county districts in the city of Utica into neighboring municipalities could be a key step in reshaping this attitude. Clearly the city of Utica shares commonality with many of the towns it borders, and broadening those districts only makes sense. 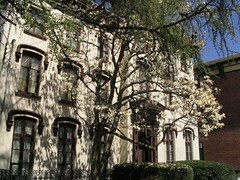 Contrary to what some might believe, the health and stability of the city of Utica have a direct effect on its suburbs. When the city suffers, it hurts us all. These views should provide the lens through which county policies must be reexamined . . . not with an eye toward further expanding county government to assume traditional city/town/village services (such as 911, sewage, water, and garbage services) , but rather, to discern where the county government has enabled parochial interests to continue to exist by providing such services in place of (and which would be better managed by) an enlarged local government. . . with an eye to eventually withdrawing from them. In Sewer fees sore point for suburbs we see more "enablement" of parochial interests at the direction of the county. The county intends to collect a fee that will be used to partially defray local sewer repair costs, but hasn't figured out yet just what it will spend the money on. What seems to be happening is more redistribution of costs from one community to another -- with the County acting as arbiter and Utica, because it is the population center, being the ultimate piggybank (loser) as usual. The County also hasn't figured out what it will do if local communities do not implement the fee, preferring to "cross that bridge" when it gets to it. All this should have been thought about before the Consent Order was signed -- as pointed out in this blog. Figuring things out along the way, however, is the typical approach around here and ultimately creates more problems down the road, such as those described in today's article. And why not do it this way? What ever the county legislators decide, half of them are unaffected because their constituents aren't in the sewer district. . . . "Let the other guys decide when they have to do something" seems to be the thought process . . . but by then, the options have become limited. The Municipality of Greater Utica. "Students learns (sic) about disabilities"
"With one hand frozen at their sides, New York Mills first and second graders Monday attempted to put on sweaters and jackets, simulating how a stroke patient has to get dressed." While this exercise is well-intentioned, it is an example of why our kids can't read, do math, don't know our history, don't understand how our government works, and don't know basic scientific principles. There are too many distractions from the children learning the core knowledge that they are expected to know. If not learning about disabilities, its the ride for missing children, or drug awareness, or recycling . . . if not honoring their teachers (with teacher authored skits) or international cup-stacking competitions which were also OD stories of the last couple weeks. Your money, and your children's time are being wasted. Now the Town Board is hiding behind an undisclosed attorney's letter to justify transferring Fees in Lieu of Mitigation from one account to another for spending. And it looks like Woods Road work will receive a lot of the funding. Now just whom would be benefiting from that largess? New Hartford Business Park, perhaps? Of course, the fees were taken from particular developers in lieu of mitigating the environmental impacts of their developments. And now the fees are being transferred to benefit another developer, rather than mitigating impacts. . . . impacts that are currently affecting people. How much relief will the people in New York Mills along Royal Brook get from the runoff from Consumer Square by work on Woods Road? Ms. Krupa, can you answer that question? It was a nice game you played for the home crowd last week over the budget, but we aren't stupid. You are an attorney and know that the Town fed selective information to outside counsel to get the opinion that the Town wanted. . . . the one that would allow funds to be used for something other than mitigating the impacts of the projects they were collected upon. If I am wrong, then the Town should waive its attorney-client privilege to prove it. We the People paid for this outside counsel's opinion, and also paid for inside counsel, the Town Board, and the Town Supervisor. Yet, somehow, we who pay and who are directly affected are not entitled to see this letter, or what was sent to the attorney to generate it. There is a funny thing about privileges such as the attorney client privilege: When they are asserted to prevent disclosure of things that should be disclosed, they will support the drawing of a negative inference. This Town Board and Town Administration still has something to hide. "Town Supervisor-elect Patrick Tyksinski said he doesn’t think any of the money should be paid back, no matter what the contracts state." Just keep that statement in mind if you are thinking of entering into a contract -- any kind of contract -- with the Town of New Hartford during the next four years. The Princess, the Marchesa and the OD . . . I'm glad Utica Daily News presented the "other side" of the Princess Lenska story. The Observer-Dispatch's unprovoked attack on her credibility was like pulling up the "Welcome" mat and turning out the lights. Here is someone from outside the area who is actually investing in a beloved Utica landmark, hasn't asked for a dime of public funds, and -- if we're lucky -- may sponsor some cultural events, and the first thing the OD thinks of is questioning her title? In so far as the embassy response, did the OD ever stop to think that the existence of Polish royalty might be considered a threat to the Polish government, and, therefore, would be something to deny? "I did a lot of research online found that there's this core group of people who hate this city have been doing everything possible to destroy the city of Utica--pull her down," she said. An interesting statement ... especially coming from an outsider, no? Why do I have a nagging feeling that the royal title would not have been questioned if Lenska had chosen a property in New Hartford? The unwelcoming attitude was unnecessary and, really, very Un-Utican (though the OD isn't "Utican" anymore anyway). For over 100 years Utica has opened its doors to thousands of refugees from all over the world, most of whom were dirt poor, but took their new found freedom and made something of themselves. . . . and Utica was a richer place for it. Why should it be different for a princess? Geez . . . . We had a "Marchesa" for years and no one cared about the authenticity of her title. Why is it so different today? What mattered back then was the pleasure she brought to a lot of Italian American families on her radio show 50 years ago... and her striking presence in the community. Titles aren't important -- this is America, after all. What counts is what people do.. . . And it will be the same for HRH Lenska . . . if she is given a chance. Maybe the OD is showing the fear of some of our local society matrons . . . afraid of being pushed out of the limelight by someone with cachet, perhaps? Princess Lenska, don't be discouraged by the OD (or the other naysayers). When ever people are asked in local public meetings what Utica needs most, "a new newspaper" is the invariable response. Bring a touch of royal class, help this community shake off its moribund grayness, rattle the cages of our so-called "elite," . . . and you will earn the title of Princess in our hearts. Small Change in New Taxford . . . and Unanswered Questions . . .
Lucky New Hartfordians! Their taxes will go up only 46% instead of 54%. New York Mills residents fare much "better." Their NH Town taxes go up "only" 620% instead of 1600%! Some of the small cuts that were made are illusory . . . "Cutting" 30K for a Town Comptroller position isn't a real "cut" because the position had not been budgeted for in years. "Cutting" 30K for a Town Attorney's salary only will invite more hourly billing. "Cutting" 64K for "seasonal" employees will likely get parlayed into more overtime for regular employees. Two UNMENTIONED things stick out in this story. 1) There are no apparent cuts to the New Hartford Police Department (except possibly a police vehicle). This is the case even after it was pointed out to the Town Board that the NHPD has committed the equivalent of 1/2 a man-year of police service to Marquee Cinemas in a purely private deal. On information and belief, there are several other deals out there. If NHPD can provide private security, then the NHPD can take a serious cut . . . and the officers can be released to work for the private security firms that would otherwise likely be taking on this work. "The massive hike would be the result of an apparent accounting error made in 2003, New Hartford Budget Director Heather Mowat said Wednesday." "The change is due to the fact that the state Comptroller’s Office declined to give an opinion on a possible accounting error by the town, Mowat said." There is obviously a lot here that is not being explained. The OD has been made aware of the police contract with Marquee, but not reported on it. How much money has the NHPD taken in on these private security details? Where is the money accounted for in the budget? What is the cost of the promised overtime to the taxpayers? Ms. Mowat brought up (a) an alleged 2003 accounting error to explain a 1600% tax increase, and (b) the lack of a comptroller opinion to explain the decrease to 620%. Neither (a) nor (b) explain anything. As usual (when New Hartford in involved), the Observer-Dispatch glosses over this with no substantive information. What was the nature of the alleged 2003 accounting error that presumably resulted in a tax reduction in the NYM NH-Town tax rate that justifies reversal now? Why does the state comptroller's refusal to issue an opinion cause the proposed tax increase to drop from 1600% to 620%? Reading between the lines, it sounds like Ms. Mowat was trying to get a state opinion that would support a 1600% tax increase in NYM! Both the press on occasion and Ms. Mowat have pointed out that the Whitestown Town Tax in NYM is significantly higher than NH . . . seemingly to provoke Whitestown NYM residents to get their NH NYM neighbors to shut up. But there is a story there too that is not being covered. Why is the Whitestown tax rate in NYM so high? Is Whitestown charging NYM residents for Whitestown Police, because that would seem to violate the Town Law . . . or are there other expenses that the public doesn't know about. Contrasting how NYM residents are taxed by New Hartford and by Whitestown should reveal a lot about the two towns. Why is there no reporting on this? Wednesday Is Tar-and-Feathers Day in New Hartford . . . Rarely have we seen in recent times the public outcry witnessed in New Hartford at recent budget meetings . . . . However, this morning's Observer-Dispatch reports "Few cuts so far to proposed N. Hartford budget." Only Ms. Krupa seems to understand what is at stake, but everyone else seems paralyzed or fearful of making a move. . . . but there was no paralysis or fear when they voted all the spending increases that got N. Hartford into its fiscal mess. Significant cuts can and must be made. It is clear that the police department can take significant cuts when they can offer to sell their services to paying clients. . . . and, connected with police, is that patronage mill NH911 call center that duplicates County 911. The public has spoken loud and clear that they WANT cuts. So, just who does the Town Board represent? Maybe the public needs to remind them -- again -- on Wednesday. It's Time to Gore the Sacred Cow of "Education" . . . Headlining the Local Section of Yesterday's Observer-Dispatch was this AP story: "N. Y. Senate coalition vows to reject school aid cuts." A "new coalition" of upstate and suburban Democrat senators (including local Senator Valesky) are going to join Republican senators to refuse Gov. Paterson's proposed mid-year 4.5% cut in school aid. Assemblyman Townsend struck a similar note in last week's Utica Daily News. Last week we also saw this school-related headline: Stacking cups toward world record. Providing education, undoubtedly, is one of the more important functions of government. Parents want their children to be knowledgeable about the world around them, to be able to make sound decisions, to be able to cope with daily life, and to be able to earn a living. Society requires a citizenry that is sufficiently educated to lead and run its many institutions -- which maintain order, which supply everyday needs, and which maintain security. Education is so important that, for some, it is worth whatever price is placed upon it. . . . But is it worth the price that we are actually paying? And is what we are getting what we think we are paying for? The cup-stacking story suggests NO on both counts. . . . as did the Pinwheels for Peace, "Pajamas, Pep Rallies and Posters", Yoga, volunteer celebration, and Kernan Kidz at Kollege stories of the recent past (among others). Schools are not the places of learning that they once were. As noted last month ("Knowledge Is (Still) Power") teaching methodologies and objectives have been drastically changed, necessitating ever increasing levels of staff while producing lower returns. Let's not forget the huge "stimulus" package by former Gov. Patacki for massive school construction all across the state that will put $300 million into Utica schools alone. Imagine the cost of this program as it is replicated all across the state. The importance of "education" has been co-opted by special interests, including the Teachers Union, Construction Workers Union, publishers, contractors, and architects, to enrich some while advancing the political interests of others. Midyear cuts to education can and should be made. We can do without a few cups to stack. In fact, Midyear is the BEST time to do it because school districts will not be able to ask for money from their local taxpayers for months. Needed cuts in staff and nonsense programs will have to be made. . . .and maybe the idea will sink in that one can accomplish more with less IF the right choices are made. The education "sacred cow" has run roughshod over the taxpayers for years. It is time that it is gored. Private Police Deal in NH - Another Angle . . .
New Hartford Online poked some fun at the NH Town Police - Marquis Cinemas Deal: Planning a Vacation? Don't leave town until you "rent" a New Hartford Police Department car to sit in your driveway or outside the front of your home! A Funny Post! . . . But it raises a serious point . . . more serious than that fact that town taxpayers will be on the hook for the "rent-a-cop's" benefits, retirement, Workers' Comp., and exposure to liability if something goes wrong. This isn't the Town merely providing a "service" like garbage pickup. The deal is more than merely providing security services similar to (and in competition with) those provided by several private companies in the area. Town Police have law enforcement authority that security services don't have. They can write you a ticket or drag you to the town lockup. . . .
And now the Town's enforcement authority has been sold to certain select customers such as Marquee. This should make you very uncomfortable. Would you be confident of even-handed law enforcement in New Hartford knowing that certain people or businesses are paying "clients" ??? The police have already chosen "sides." Has government become so corrupt -- and the electorate so jaded -- that no one sees this as a serious problem? "Government for Sale" unfortunately seems to be a way of life in New Hartford . . . Whether it is police services for certain businesses; constructing roads, water, and sewer lines and following irregular review procedures for a private business park; maintaining a memorial for certain elite families (the Library); or building storm water detention structures to fix run-off problems that the Town allowed private developers to cause . . . If you have enough money, or know the right people, you can get a "higher level of service" than the "average Joe" -- if you are in New Hartford. A member of the New Hartford Police Department will be assigned to the Marquee Cinemas every, Friday, Saturday and Sunday, during the time frame of 8:00 PM to approximately 12:30 AM. A marked police car belonging to the New Hartford Police Department will also be assigned to this location. The member of the New Hartford Police Department will be on duty (working over-time) and in uniform, as an employee of the Town of New Hartford. Per the agreement, the Cinemas will reimburse the Town for the overtime, and will pay $20 per night for the car . . . This agreement appears to have been entirely unauthorized. The Police Department is part of Town Government, something that we the taxpayers have paid for. That police car is owned by the people of New Hartford, not the police lieutenant. New Hartford Police is NOT a private security business that can enter protection deals at its own will. Only Town Government has the right to commit these resources to particular purposes (and even then there there are legal and constitutional limitations). There is nothing in Town Board Minutes authorizing this deal. While the agreement gives an impression that the actual cost of this service is covered, nothing is mentioned about how this "over-time" will inflate the salary upon which the "Marquee Detail's" officer's retirement benefit will be calculated-- something that the tax payer will be on the hook for for the officer's retired life. An unauthorized commitment of public resources to a private purpose . . . A personal benefit to be gained by the public employees that are directly involved in the service. Is that corruption? . . . . Or What? The Ominous 4th Branch of Government . . .
You've heard of the Legislative Branch (the people who make laws), the Executive Branch (the people who carry out and enforce laws) and the Judicial Branch (the people who interpret and apply laws). But have you heard of what is sometimes called the "4th Branch" of Government -- the one which controls many of your day-to-day activities? It is the "Administrative Branch," but you will not find it mentioned in the state or federal constitutions. It is that alphabet-soup of administrative agencies such as the EPA, FCC, IRS and FERC on the federal level, and DEC, PSC, DOT, Health Dept., Education Dept., and a plethora of authorities at the state level. While officially they are part of their respective Executive Branches, many of the agencies making up this de-facto "4th Branch" of government have been given their own legislative and judicial powers. Like legislatures, they can make rules that have the force of law. Like courts, they can interpret certain laws, hold hearings, make determinations and impose penalties. Sometimes the same agency makes the rules, prosecutes violations of the rules, and holds hearings to determine compliance with and impose penalties for violations of the rules. Isn't the combination of legislative, executive, and judicial powers in the same people something that our founding fathers sought to avoid when they set up our state and national governments? Does not the combination lend itself to abuse? In our complicated world, administrative agencies are a necessary evil. When you think of the expansion in the number of things that people can do now over what was possible one hundred years ago, you will realize that the number of ways that people can harm each other has also increased. If people are to live harmoniously with each other and nature, behavior needs to be regulated. Someone needs to make the rules to keep us from destroying each other. “We the People” have properly assigned that role to elected representatives in legislative bodies who enact the laws needed to maintain order. However, many areas require specialized knowledge to be properly regulated. Environmental protection, for example, is one of those areas, requiring knowledge in several areas of science. Most politicians do not have the specialized knowledge, and it is for that reason some of their legislative powers have been given to administrative agencies. The legislature passes laws describing how it wants behavior regulated, and then administrative agencies with expertise promulgate the detailed rules necessary to carry out the legislature's intent. At least, that is the theory of how things are supposed to work. Since most judges also do not have specialized knowledge, administrative agencies have been given quasi-judicial powers. The idea here is that experts with a greater understanding of a particular subject than the average person would be better able interpret and apply complex rules to achieve what the legislature intended. Again, that is the theory of how things are supposed to work. In general, the scheme has worked reasonably well. However, when considering the role of administrative agencies in our government and our daily lives, it is important to keep in mind how they differ from the legislative and judicial branches that they mimic. Unlike legislatures, administrative agencies are NOT composed of elected representatives, so their rules might not necessarily represent the "will of the people." An important function of a legislature is to prioritize the relative importance of regulating one aspect of people's lives over another. A legislature can balance, for example, the need for a rule to protect the environment against the economic consequences of the rule, such as jobs lost, and determine whether the cost is worth the benefit. An agency that is created to protect the environment by its own nature will prioritize environmental protection over everything else. Balance with other priorities will occur only if the laws within which the agency must operate have been carefully crafted to reflect the legislature's priorities under all circumstances. That is an almost impossible task. Unlike courts of law, where decisions must be supported by at least a preponderance of the evidence (the burden of proof in civil matters, or evidence beyond a reasonable doubt in criminal matters), determinations by administrative agencies need only be supported by "substantive evidence" and not be "arbitrary or capricious" to be sustained. Even if the administrative record contains a preponderance (the greater amount) of evidence supporting one particular way of addressing an issue, the agency is free to do something different as long as there is SOME evidence to support its determination. This is even the case when an agency is determining compliance or non-compliance with its rules and imposing penalties for the latter. This is because the acts of administrative agencies are viewed as "policy making" and matters of "expert" judgment, allegedly beyond the understanding of reviewing courts of law, with no "right" or "wrong" answers. But how would you feel if you got slapped with a financially ruinous penalty based on "some" evidence? The ability to promulgate, apply, and enforce rules, with no direct accountability to the voters and minimal oversight by the courts under the guise of having an "expertise," makes the public vulnerable to those whose "agendas" may override their "expertise" -- those who may have insinuated themselves into an agency to benefit themselves or their friends. In the waning days of the Bush administration, when it appeared that the financial system was going to collapse and attention was focused on the bailout debate, the Treasury Dept. quietly made a five-sentence change to tax guidance that reversed over 20 years of tax policy. This essentially produced a $140 billion windfall for certain banks. Tax lawyers debated -- afterward -- whether there was legal authority for the Treasury to implement the change, but it was clear that no one would have legal standing to challenge the change in court. The change was made without elected representatives' participation. The taxpayers were out the $140 billion. For the change to be reversed, only the Treasury or Congress could do it . . . but Congress had other things on its mind. During his last years in office, Governor Pataki initiated an action with the governors of other Northeastern states to set up a regional "cap-and-trade" system (the "Regional Greenhouse Gas Initiative") to limit the output of carbon dioxide to combat global warming. The system was modeled after a Nitrous Oxide trading system, which was set up years ago under state and federal law to combat acid rain. The CO2 system was eventually put into place a year ago under regulations promulgated by the Department of Environmental Conservation -- but unlike the Nitrous Oxide system, there was no federal law existing at the time that the state system was intended to implement. Even if the premise is accepted that global warming is a threat and is caused by mankind's output of CO2, there was no evidence whatsoever that the effort of the ten participating states acting on their own, without the rest of the country, could have a detectable impact. The move was more a symbolic gesture or political statement by a governor who was contemplating a run for the Presidency than a tangible move to combat climate change. But the effect on the general public would be tangible: New York's already sky-high electric rates would have to go higher, with some analysts predicting significant increases. Additionally, Downstate coal-fired electric plants would be encouraged to shut down -- likely to be replaced by Upstate generating capacity and power lines. Had this matter come before the state legislature, there certainly would have been merits to debate, including the exacerbation of an already horrible Upstate economy. But there was no debate. The system was simply implemented by administrative rule-making, redefining "air pollution" to include CO2. Elected representatives had no say. . . and predictably would not inject themselves into the issue after-the-fact for fear of alienating some constituency. Currently, farms that have operated for generations in the fertile Central Valley of California are being denied water for irrigation, allegedly so that more water could be sent into the Bay area to protect the habitat of a small fish, but possibly sent to support growth in other parts of the state. Cropland has been turned into dust, orchards are dying, unemployment in some areas is around 40%, and farmers who fed a nation must now depend on food handouts from the government to feed their families. Administrative agencies control the water flow. While the situation is too complex to analyze here, what is clear is that many individuals and their families are now unwillingly forced to sacrifice all they own on the alter of government regulation. While there may be ways to rationalize this to avoid government fault, the effect is no different than if the government simply had come in and taken their farms. Again, law makers are paralyzed from taking effective action. Administrative agencies help maintain order in our society. However, they have become so ubiquitous, and their powers are so great due to their combination of legislative, executive and judicial functions, that it is now possible for them to be used to implement sweeping changes to public policy. Neither debate nor approval by our elected representatives is needed to implement change. Because of this, agencies' narrow perspectives can result in individuals being deprived of their property or livelihood without adequate due process protections. Our founding fathers set up three branches of government to prevent each branch from becoming too powerful. Although they did not anticipate creation of the "4th Branch," they certainly would have understood its potential for abuse. Make Mine Freedom . . .
An old cartoon (1948) with a message for today . . . The Attorney General's Misplaced Priorities . . .
. . . chip maker Intel of engaging in “a worldwide, systematic campaign of illegal conduct,” including paying kickbacks and threatening computer makers, and filed federal antitrust charges against it. "Intel’s actions not only unfairly restricted potential competitors, but also hurt average consumers who were robbed of better products and lower prices. " Why does the NY AG have to involve himself in a "worldwide" issue? The European Union seems to already have this Intel issue well in hand. . . . And has anyone really complained about computer prices being too high with products of poor quality lately? Seems to me that computers are getting cheaper and cheaper while their capabilities have increased. So what's the NY AG really up to? Oh, I forgot . . . He's protecting NYS' business interests since NYS is now heavily invested in AMD, one of Intel's competitors allegedly hurt by the allegedly illegal competition. . . . Never mind that this investment violates Article VIII of the State Constitution. . . . Protecting big business interests apparently has become the state taxpayers' responsibility. Why wasn't the Water Authority's violation of a 1917 Agreement investigated? The AG's office was contacted about this several years ago, but they passed the buck. 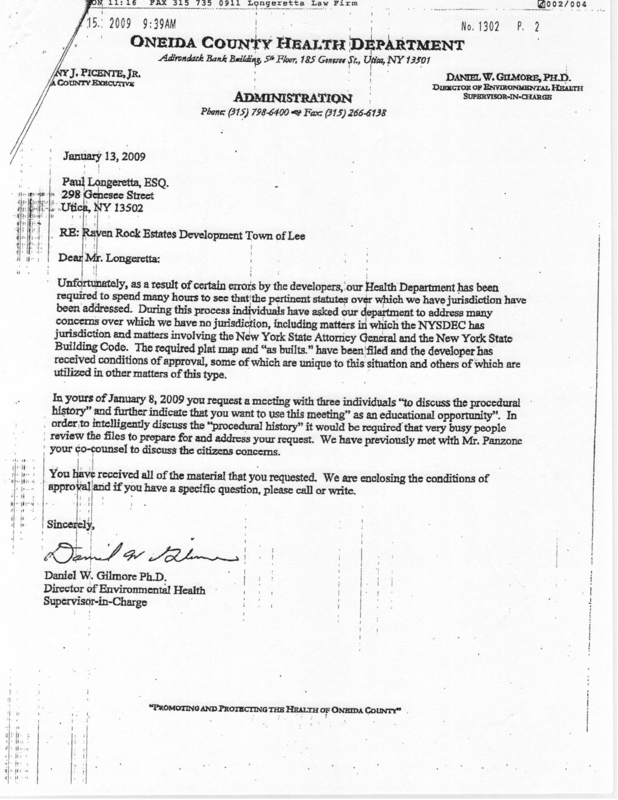 What about the forged police lab report in a Utica criminal case? Who was responsible and why no punishment? How about the sewer violations leading to the Consent Order that now will cost people an additional $600/year on their sewer bills? How was that allowed to happen? How about the Hartford's new office building in New Hartford being built without the proper environmental reviews? Was wrongdoing involved? How about Oneida County's treatment of the Raven Rock situation? Were laws broken there? An overwhelming number of government-created situations suggestive of government corruption posted on this and other local blogs just cry out for investigation, but nothing ever seems to get done . . . and, like the sewer deal, can wind up costing individuals big money. The AMD's of the world are big enough to protect themselves. Meanwhile, Who protects the People . . . all those footing the bill for Mr. Cuomo's showboating . . . FROM WRONGDOING BY THEIR OWN GOVERNMENT? Same Old New Hartford . . .
New Hartford will hold a public meeting on Route 840 access on Saturday. Town officials would not release the alternatives in advance of Saturday’s meeting, but several ideas have been discussed. Two days notice . . . no details available in advance . . .
OC Scoopin' the Poop at Raven Rock . . . This story has been "percolating" beneath the surface for some time with almost no coverage from Utica-Rome based media [You have to ask yourself, "Why? "], but, fortunately, News10Now out of Syracuse has been following it for a long time. Home owners in Raven Rock Estates in Lee have alleged numerous problems with their newly constructed duplex homes that they purchased from Legend Developers LLC. 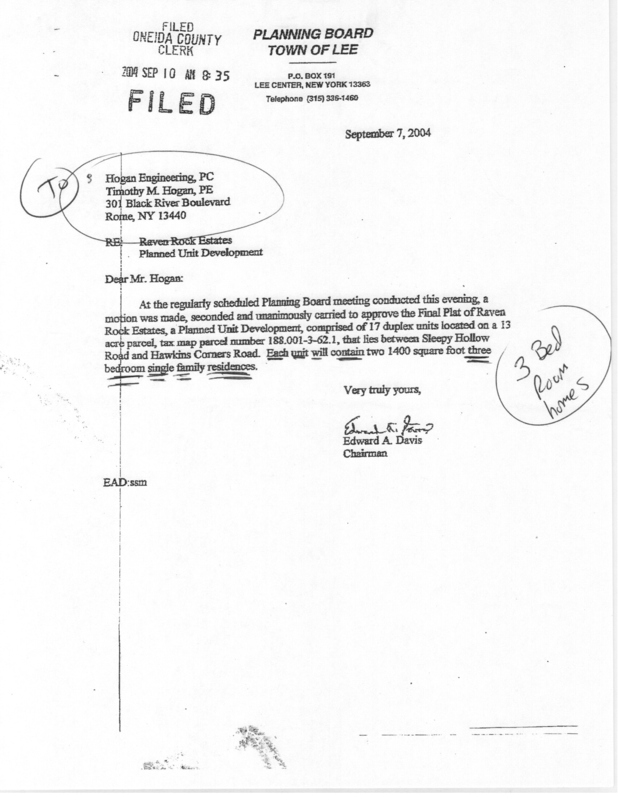 In May '08 a state review board denied a fire-code variance for inadequate fire-walls between units. Later that summer, the developer acknowledged violations, which totaled 116, signed a Consent Order with the OC Health Dept., and promised to fix the violations by Sept. 30 in return for the County waiving most of a $118,000 fine. Time passed, but by November '08, residents were still frustrated. However, the County apparently felt that things were progressing, and did not seem to feel there was a problem. [OCHD Attorney] Miga says he understands the residents are frustrated, but the health department has done its job to oversee what it is supposed to in its jurisdiction. "They have met their deadlines and we have reviewed everything. The conditional approval either has gone out or is about to go out. I don't anticipate that there's going to be any additional fines," Miga said "They have paid their filing fees. They've paid a $5,000 fine. And they've have spent a number of dollars in providing a series of maps until we had it right. Both the plat mat and the as built." . . .
Moving forward, the county health department said it's going to give the developers conditional approval and the final map from the developers must be approved by the county health department and the Town of Lee planning department. "My clients do not have a complaint against the Oneida County Health Department. I want to be very clear about that. All they're asking is that the county enforces this agreement that was voluntarily entered into with the developer," said Longeretta. But that was November, 2008. With November 2009 upon us, Raven Rock residents have now filed a notice of claim against Oneida County. Home owners are demanding compensation from the county because they say leaders knowingly allowed developers to sell the houses as three bedroom homes, even though they had only been approved and equipped with septic tanks large enough for two. Some of the problems at Raven Rock involved allegedly undersized septic tanks. Sewage has reportedly backed up into showers and sinks. Per NYS regulations, the number of bedrooms is a factor in determining the proper size of a septic tank for a home. Three bedroom homes require a tank with a capacity of 1250 gallons, but homes with fewer bedrooms and without other accouterments such as garbage grinders can get away with a 1000 gallon tank. In Raven Rock the homes reportedly had been built with 1,000 gallon tanks installed. So the solution here would be to increase the size of the tanks . . . Right? Instead the County has chosen to, in effect, play ostrich and decrease the number of bedrooms it would recognize in each home to make the installed 1000 gallon tanks the correct size. How did it get away with this? See this wording in Condition 12. The County apparently got the developer's engineer to certify that the constructed homes only had 1 or 2 bedrooms. The residents must have been surprised to hear this because they had purchased 3 bedroom units, as shown on their floor plans. The Town of Lee should have been surprised because the Town approved of the project as consisting of 17 duplexes with each unit containing 3 bedrooms -- not 1 or 2. The County should have been surprised as well because the Lee approval was filed with the County Clerk in 2004. It simply is not believable that the County did not know that three bedroom units were built. But now the County accepts a "certification" that makes the problem go away??? Sounds like subornation of perjury to me. To observers of the shenanigans in Oneida County over many years, this nonsense is not surprising -- but it still is disgusting. The "conditions of approval" were just B.S. , making things more difficult for the homeowners and easier for apparently well-connected developers. Some county legislators have caught on. Chad Davis recently issued a press release on this fiasco. Unfortunately, a majority of the county legislators on the Public Health Committee, led by the Republican Chairman David Wilcox, don't care to pursue this matter further and have not responded to residents' or Mr. Davis' questions. Like so many problems around here, even when it comes to violations of the law, it is easier for government leaders to dish out a line of B.S. and pretend there is nothing wrong rather than solve problems. It also appears to be easier for local media to ignore these stories -- reporting them only when unavoidable or when they favor the politicians that the media favor -- than to get to the bottom of these situations. Local media's laziness enables the laziness of our government's leaders ... or worse. The public, too, is at fault, like lemmings voting along party lines, or ethnicity, or neighborhood friendships rather than where candidates stand on the issues -- if the public even knows what the issues are, if the candidates have even formulated a position and if we are lucky to have them aired. As usual, private individuals wind up paying for the malfeasance, but if one is not affected, ignorance is bliss. Government leaders, the media, and the public can only play ostrich for so long. When will they stop scoopin' the poop?